Portland City Hall - July 27, 2018 to August 3, 2018 2018 marks the 30th anniversary of sister city relations between Suzhou and Portland and also the 40th anniversary of China’s reform and opening up. iSuzhou, part of Suzhou Daily, organized a poster design competition to highlight Suzhou’s journey in the past 40 years and to promote international exchanges in culture and cultural innovation. Over 3000 entries were submitted into the competition by Suzhou citizens. The best 50 entries were selected as part of the “Innovative Suzhou, Great Journey” exhibit in Portland City Hall for the Portland-Suzhou Sister City Association’s 30th Anniversary Celebration festivities. A ribbon cutting ceremony took place in the afternoon on July 27th in the North Atrium of Portland City Hall. Ms. Chido Dhilwayo, Director of International Relations for the City of Portland, served as Master of Ceremony. The event was organized by the Portland-Suzhou Sister City Association in collaboration with iSuzhou, Suzhou Foreign Affairs Office, and the Office of Government Relations of City of Portland. Five Royal Rosarians warmly welcomed the Suzhou Delegation led by Mr. Gu Jie, Secretary General of Standing Committee of Suzhou Municipal Peoples’ Congress to Portland with welcome greetings and a commemorative certificate. Mayor Ted Wheeler of City of Portland and Secretary General Gu Jie of Suzhou both gave remarks. Mayor Wheeler exchanged gifts with Mr. Jie, also accepted a seal with his name from the exhibit curator and signed a commemorative certificate. The ribbon cutting ceremony was performed by Secretary General. Gu Jie, Mayor Wheeler and representatives from both Cities of Portland and Suzhou. A group photo was taken to mark this special occasion and everyone enjoyed looking through the beautiful poster exhibit before the event ended. The City of Portland celebrated its 26 year of friendship with our Sister City of Suzhou, China during July 29 to August 1, 2014. 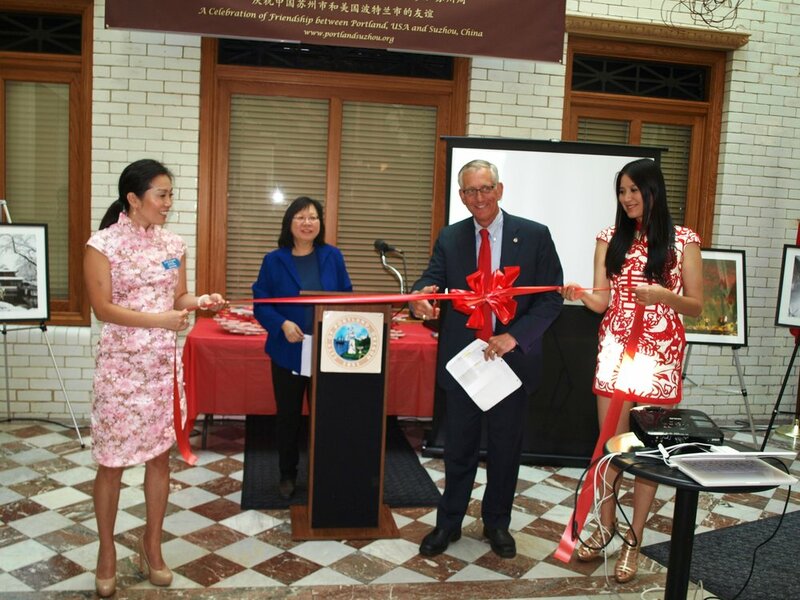 The Portland-Suzhou Sister City Association (PSSCA) organized an exhibit at the City Hall of Portland with a ribbon cutting ceremony by Mayor Charles Hales and attended by a group a children from the Skybridge International school and other guests and friends. The City of Suzhou donated copies of their new book, "In Suzhou", to Portland to be introduced during Suzhou Week celebration. 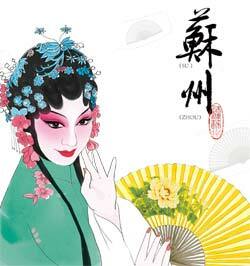 "This is Suzhou, an ancient city with 2,500 years’ history. Suzhou is called The City of Gardens in China, and is enjoying a reputation as “The Paradise on Earth.” In the 13th century, Suzhou was hailed as “Oriental Venice” in Travels of Marco Polo. 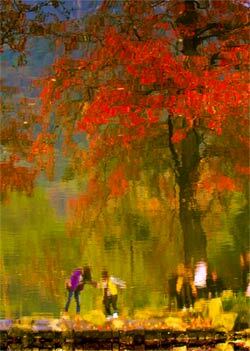 Charles Montesquieu, the French enlightenment thinker, praised Suzhou ancient city for its uncanny workmanship." This book is jointly produced by the Information Office of Suzhou Municipal Government, the Suzhou Education Bureau and the Suzhou Daily Group. Mayor Hales accepted the books on behalf of the City of Portland. The works by famous Suzhou Photographer, Mr. Jingzhong Fu, have been published in great number of China and international magazines and have been selected to several international renowned photography exhibitions, including French Art International Photography Exhibition, Britain Southern Devonshire International Photography Exhibition, Greek Circuit International Travelling Photography Art Exhibition, Austrian Trierenberg Super Circuit, Iranian Khayyam International Photography Exhibition, Indian PSI International Digital Photography Exhibition, US Washington International Photography Exhibition, Hong Kong Grace International Photography Exhibition, etc. We were honored to be able to exhibit Mr. Fu's work in Portland in celebration of Suzhou Week 2014. In honor of the Suzhou Week 2014, an art exhibit by Portland artist and PSSCA Board member Maihwa Frances Li has been created using acrylic to provide for a series of colorful paintings depicting memorable Oregon sights in all four seasons. 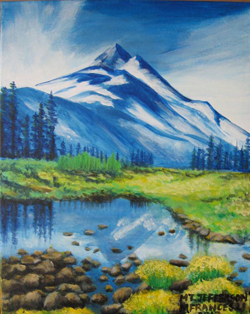 While Ms. Li traveled all over Oregon, she found much natural beauty, similar to Chinese landscapes, majestic mountains, cascading waterfalls, lush forests, scenic beaches, and abundant wild¬life which inspired her for the creation of this exhibition. For more information, please visit the art exhibit page. Both the photography exhibit of beautiful Suzhou scenery and the new book "In Suzhou" were contributions from Suzhou as symbols of the long and strong Sister City relationship between Portland and Suzhou.